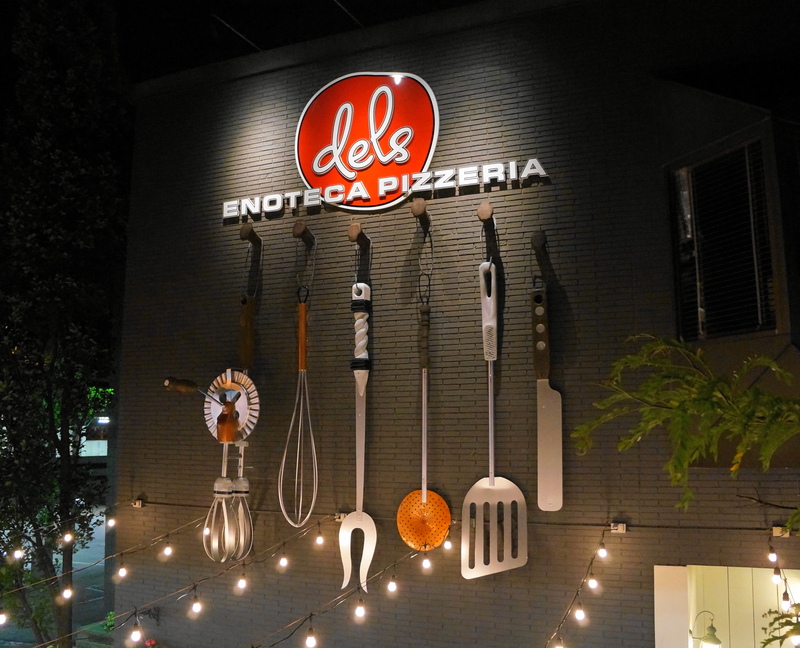 Approximately four years ago the expert sign-makers here at THE SIGN DEPOT were busy with the signage rebranding of Del Dente to the Dels Enoteca Pizzeria. If you read our earlier post you know the change was quite significant, and you are aware that they were able to re-purpose the original 3 dimensional sign to different part of the building. Fast forward to present-day and the restaurant has upped their game once again. They have created a very inviting outdoor dining space. This Al Fresco dining area, known as #DelFresco, is a charming patio that provides a wonderful dinner spot for the summer. It even has an area for you bring an extra special guest that normally wouldn’t be able to join you while eating at the establishment. The addition of pet beds and water dishes make it a welcoming spot to bring SPOT along with you! This means you can now bring your dog to your fancy Italian dinner. 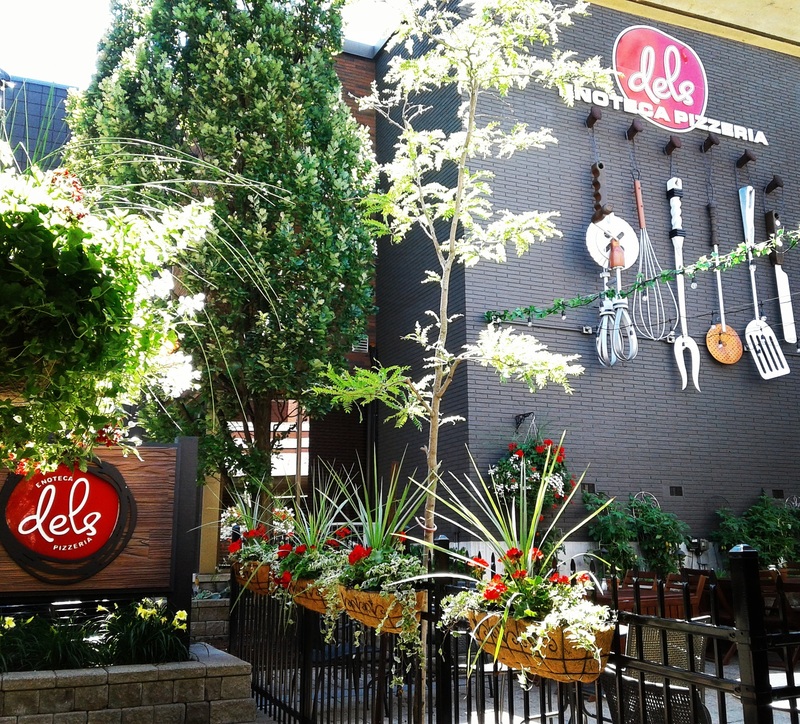 Beyond the wood tables and the pet area, the Dels Patio is surrounded by bountiful flowers and plants and the signage provides great accents to this fresh air atmosphere. The custom crafted utensils and dimensional signage serves as a backdrop for the new dining area and because it is a lit sign you can easily find your way to the patio during the evening hours. 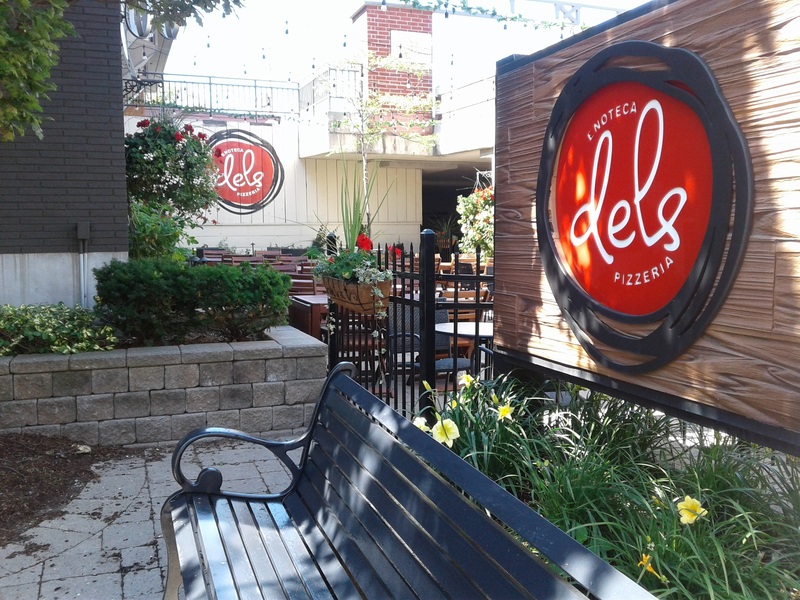 Open air dining is great way to enjoy warm summer nights and we think the new Dels Patio is the perfect place to try before the summertime ends. If you are looking to add 3 dimensional signs to your establishment, we would glad to assist you. Check out our DIMENSIONAL SIGNS GALLERY for inspiration and then head to our CONTACT US page to connect with us.